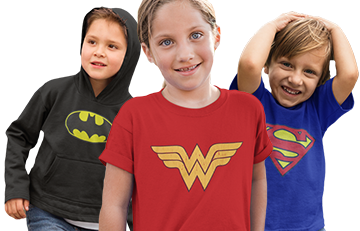 Okay, brace yourself because the premium 100% polyester Justice League Group Sublimated T-Shirt has Wonder Woman, Dr. Fate, Batman, Superman, Hawkgirl, Flash, Diana Troy, Martian Manhunter, Firestorm, Flash, Green Arrow, the good Dr. Light, Zatanna, Guy Garner, Kyle Rayner, Power Girl, Nightwing, Shazam, Red Tornado, Supergirl, Phantom Stranger, Red Arrow, Black Canary, and Huntress PLUS a couple more! Jeez, that's almost the entire description right there! 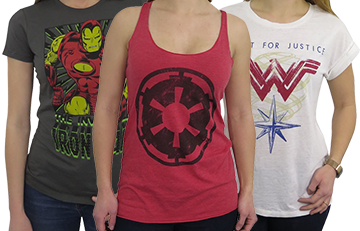 So I think you pretty much need the all over print Justice League Group Sublimated T-Shirt like...right now. I would recommend to a friend if I had any. I am 61yrs old. I think it's great. I would like to see more sweatshirts similarly printed, not with ears tho. This shirt is very colorful and very comfy! When I wear it out, I get tons of compliments, and I always hear kids saying "Awww look at that guys shirt!" And I always tell them, "SuperHeroStuff.com" !!! 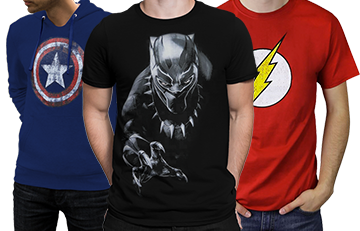 If you're willing to pay for quality, then I highly recommend these sublimated shirts. Great quality and great fit! Smooth sport kind of material, size is larger than regular. The mailman showed up finally! !I was so...so nervous than I could not drop shaking like a leaf,the emotion was overflowing my body but the best part was when I opened up the awesome package and laid my eyes on this SPECTACULAR item in every single sense of the word;I feel deeply honored wearing this must-have tee,on behalf of ED BENES:One of his best characterizations from the justice league´s comic book dated years back from now on.I love showing everybody off with my recent purchase,while wearing it I feel I turn myself into a superhero too;it feels so good to think that I have just joined them and you know what they say:dreaming is at everybody´s extent! !HOW MANY LIVES WILL BE SAVED TODAY?THEY ALL COUNT ON YOU TO DO THE RIGHT THING!! I THINK WE BOTH SEE EYE TO EYE ON THIS,DON´T WE?I could not agree more with you on that! !Since the very first moment I laid my eyes on it I fell for it too,then I checked the price and I kinda noticed it was not exactly a bargain price but I simply did not care about it,I just went for it anyways,the temptation was too strong for me to resist so....thank goodness I was not left out with money yet when I made the order whether not......the fur would have flown! !The design is the design and THIS ONE WITH THE WORKS HAS NO WASTE AT ALL,IT´S PERFECT IN EVERY SINGLE WAY! !I just ordered it a week ago and I still haven´t received it! !´m so much dying for the mailman to turn up and to get my hands on it....ufff! It´s taking long!! !I´D LOVE TO JOIN THE SAME LEAGUE AS WELL!! Ok,wakey,wakey.... no use dreaming awake,huh? (chuckle).